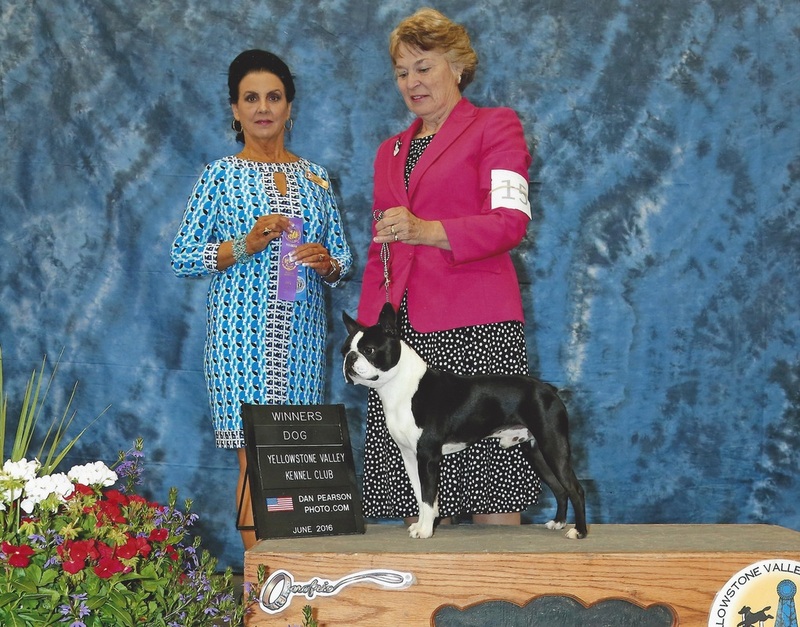 Swagger is shown above going Best In Sweeps at the Rocky Mountain Boston Terrier Club Specialty. September 2015, Swagger wins his second major and now needs 4 single points to complete his Championship. Photo below. Swagger picked up his third major and is now a Champion. He may be available to a qualified home. Please contact us if you would like more information. copyright 2018 Hi-Society Boston Terriers.